An Ethiopian Airlines 737 MAX 8. Britain joined a growing wave of suspensions of Boeing 737 MAX aircraft on Tuesday as U.S. President Donald Trump waded into the debate over modern airplane design following a crash in Ethiopia that killed 157 people. Suspension by Britain, one of the industry’s most established regulators, was the worst setback yet for Boeing in the wake of Sunday’s crash and put pressure on regulators in the rest of Europe and the United States to follow suit. The cause of Sunday’s crash, which followed another disaster with a 737 Max five months ago in Indonesia, remains unknown. Trump did not refer directly to Boeing or recent accidents. October’s Lion Air crash is also unresolved but attention has focused so far on the role of a software system designed to push the plane down as well as airline training and maintenance. Boeing says it plans to update the software in coming weeks. At the same time as London’s announcement, Norwegian Air said it too would temporarily ground its MAX 8 passenger jets on the advice of European regulators. Sunday’s disaster has wiped billions of dollars off the market value of the world’s biggest planemaker. 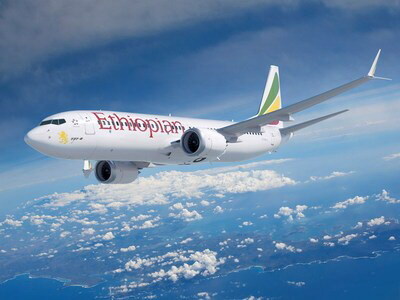 Ethiopian Airlines has grounded its four other 737 MAX 8 jets as a precaution. Anxiety was also evident among some travellers, who rushed to find out from social media and travel agents whether they were booked to fly on 737 MAX planes – the same model in the Lion Air crash off Indonesia that killed 189 people in October. The U.S. Federal Aviation Administration (FAA) issued a “continued airworthiness notification” for the 737 MAX on Monday to assure operators, and detailed a series of design changes mandated by Boeing after the Indonesia crash. The new variant of the 737, the world’s best-selling modern passenger aircraft, could become the workhorse for airlines around the globe for decades and another 4,661 are on order.